Reading is so important in any classroom! I also believe that the power of choice is super important. By giving students a choice of what they are allowed to read then they feel empowered, and I believe they are more excited to read. 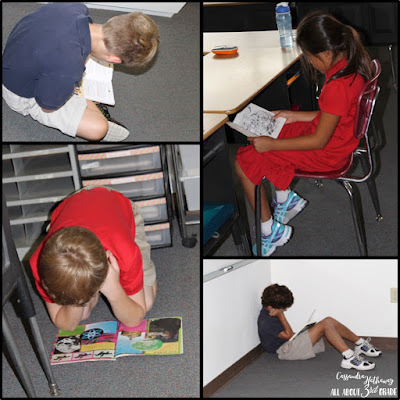 Not only do they get to pick what they want to read, but I also give my students the choice of where they SIT during our quiet reading time. Now, before you leave this page and say there is no way your kids can do this, I promise, they can! Every routine or idea that you put into your classroom takes time and training! At the beginning of every year I take time to set the expectations I have for my students, and have them show me that they can accept the responsibility of their choices. We break out slowly, and practice sitting in seats around the room. 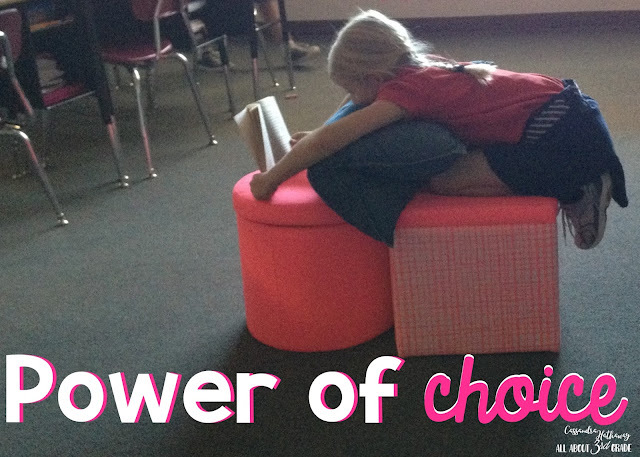 Think of flexible seating, but just for reading time, and not all day. My students love being able to find a cozy seat to curl up and read with a good book. Some days it is at their desk, under their desk, with a pillow, or leaning against the wall. They know their expectations though, and know that I do have the ability to move them if their choice is not working out for everyone. By giving them this choice it has actually eliminated the amount of time I have had to use to redirect them, and instead has given me more time to work with students one on one. Another choice that I think is very important is their choice in book! 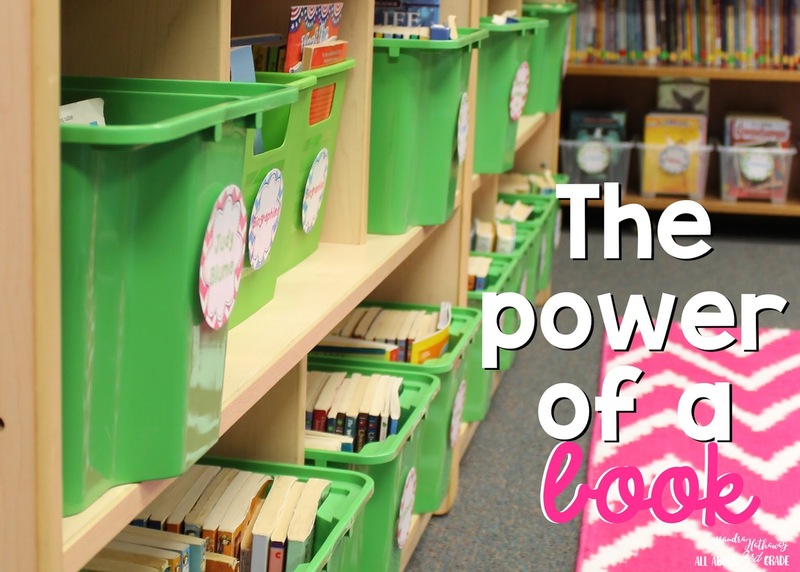 I have hundreds of books in my classroom because I believe that students need to choose a book that will keep them engaged during the reading time. I also only allow them to choose books once a week, so they know that they need to fill their book boxes for the week. I do help direct their choices when we meet during reading time, but they are more excited about what they are reading when they have the power to choose. 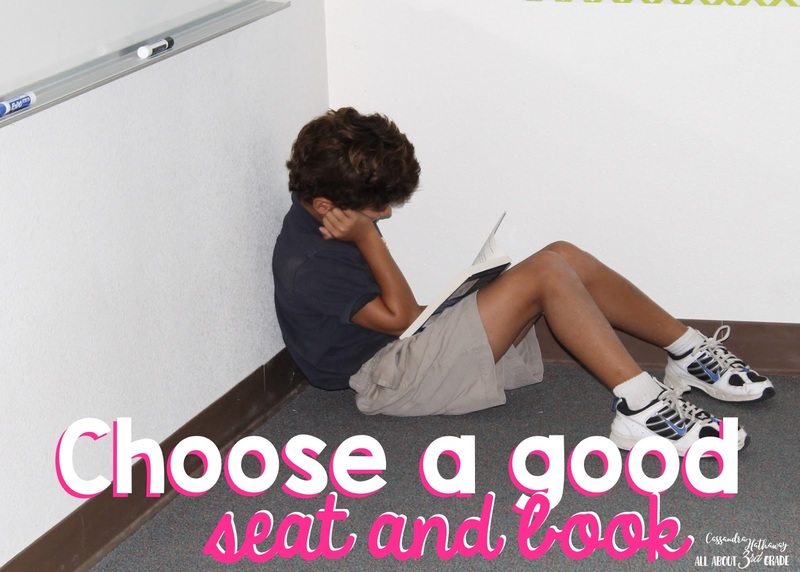 Do you let your students have choice when it comes to their reading? I would love to hear what you think about this! My students also have choices of where to sit during independent reading time. When I first started teaching, I would limit my students to reading only books at their level. After reading The Book Whisperer and Reading in the Wild by Donalyn Miller, I realized that it is important for students to choose what they want to read. For the past few years, my students have been able to choose books at any level, and I have seen an increase in engagement and excitement about reading. I agree that you need routines in place so students can focus on and share what they are reading.